Rentworks, LLC is a locally owned and operated, full service property management company. Our team has helped owners fill their properties fast with quality tenants for years. We offer many services to ensure your property is maintained & that you stay current with laws and policies that govern owning and leasing a property. Being a full property management service we offer lease execution, bookkeeping, accounting, tenant placement and screening as well as emergency contacts. With Rentworks, LLC you will enjoy peace of mind knowing that we have extensive market knowledge specific to the Tampa Bay and Memphis areas. Our commitment to delivering the best possible service provides you with the confidence that you will have full service property management in Tampa and Memphis to assist you with whatever needs may arise. Because we have the capacity to serve domestic clients as well as international clients, your needs will always be met, whether you are close to the Tampa Bay area, Memphis, or far away. Rentworks, LLC, your property manager, is ready and able to take the stress out of owning a rental property and turn it into an enjoyable, profitable experience. Rentworks, LLC uses the AppFolio property management software, to effectively manage every property in our portfolio. 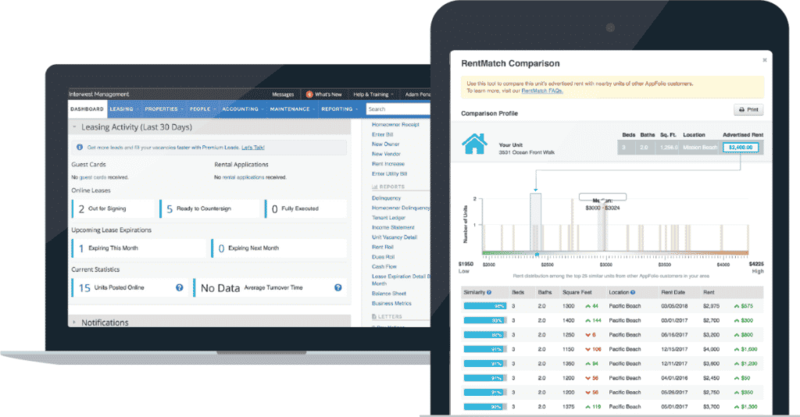 Rentec is a Residential and Commercial Property Management Software solution designed specifically to help today’s Real Estate professionals work more efficiently and effectively. Rentec includes a completely integrated accounting system that offers General Ledger, Accounts Payable, Accounts Receivable, Budgeting, and drill-down financial reports that integrate seamlessly with a powerful property management software system. It’s important for renters and owners to be able to connect with their property managers quickly and vice versa. 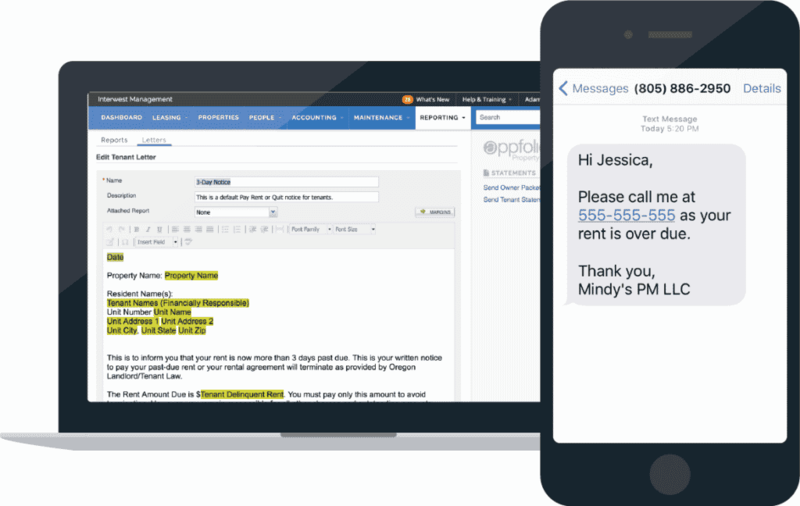 AppFolio’s built-in messaging and emailing tools make collaboration and staying informed more convenient than ever. Eye-catching vacancy postings are featured on your website, along with hundreds of online rental listing sites. Built-in rent comparison tools align vacancies with comparable rent rates in the same geographic location to maximize rental revenue. Renters can submit maintenance requests directly from their Online Portals. The 24/7 Maintenance Contact Center service, a professionally trained AppFolio agent dispatches pre-approved vendors and logs all activity in your database. You can access all maintenance requests, work orders, vendor information, and accounting directly from your phone. Mobile inspections help keep your properties rent-ready and in good shape. Renters can protect their own belongings by enrolling in ROOST Renters Insurance directly from their Online Portal. Tenant Debt Collections, partnered with Hunter Warfield, a fully licensed national collections agency, helps streamline the debt recovery process and boost revenue. Fill out today for a FREE property analysis. Ashley + Christy have been a blessing to work with. They answered ALL of our questions and made us feel confident in trusting them. After just 1 week of listing our home for us we have a renter and we are so excited. Thank you for your efforts at RentWorks!